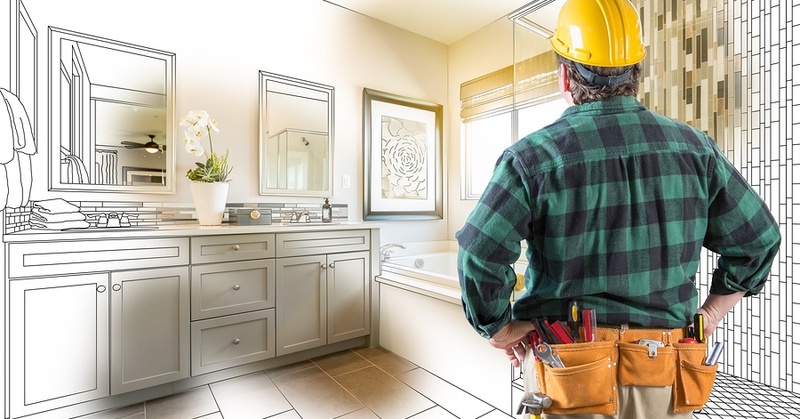 As a luxury homeowner, your kitchen and bath remodel can be an exciting time. However, it can also be a bit daunting, if you aren't sure where to start to create the bathroom or kitchen of your dreams. That's why I've laid out a few stone design concepts to help get you started on a successful home remodel. There is much more to designing a space with stone than just looking at what stone design tiles are available at your local home improvement store. By choosing to go with a custom stone installer, you open up a world of choices that can produce a one-of-a-kind show piece in your home. Obviously, the whole point of a stone remodel is to get a new look and feel in your home. It may be that the previous design feels dated, cramped, or is just not as functional as you would like it. Whatever your reason, it provides a new opportunity to choose a style that will create a different ambiance. If you favor Asian-inspired designs, go for something minimal, simple, and Zen-like to create a soothing bathroom like this one. 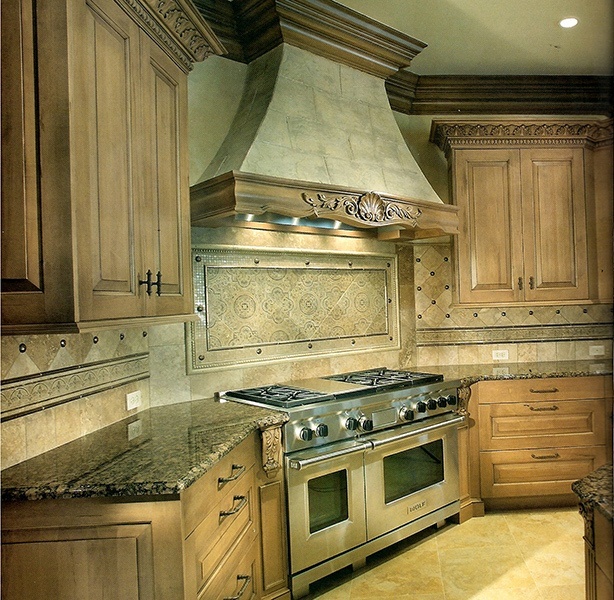 If your tastes in the kitchen run to more traditional designs, choose a style that charms people with its warm golden tones in this Old World kitchen design. Browse some design magazines to see what designs already attract and delight you enough to consider making them your own. Do you want your bathroom to be cool and sleek? Then opt for color choices in the cooler range, whether it is blue, white, or gray tones. Most people think of marbles when it comes to cool or even neutral tones, because marbles have so many beautiful grays, whites, and blues. 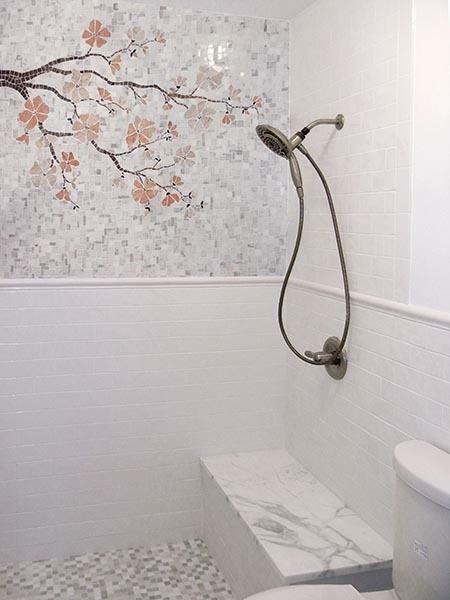 Take a look at this Alba Chiarro tile that would be spectacular in a bathroom design. If you favor the space to have a warmer ambiance go with the warmer colors, like beige, golds, greens. Onyx is an interesting stone that does well in bathrooms and kitchens, and is available in a warmer range. Here is a Honey tile. 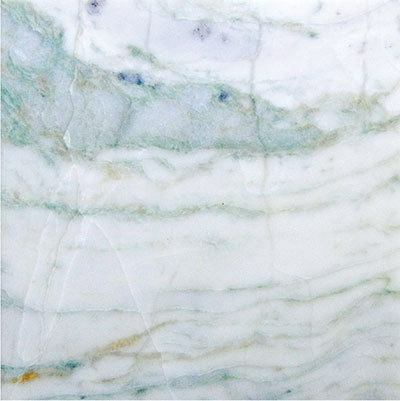 However, even some marbles can provide a warmer tone, so don't strike them off your list. If you want it to be striking to the senses, go with reds or oranges as in this slightly neutral background with a red cherry blossom mosaic. Try to get actual samples of stone to see what color choices are like in real life instead of relying on pictures on the Internet. The layout and patterning of stone designs is important in creating the overall look and feel as well. If you've chosen a more modern style, in a neutral backdrop color, you may still get a scintillating design just by opting for an interesting layout for for your design. 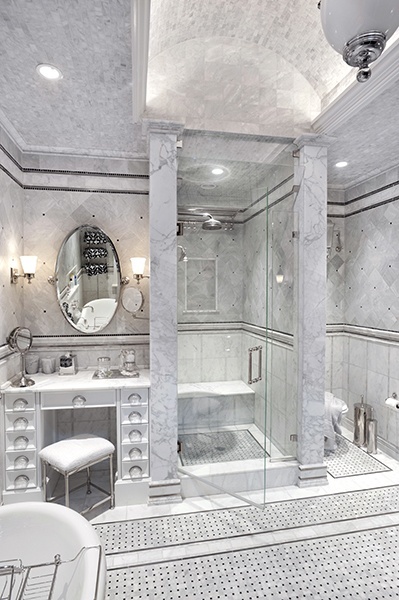 For instance, laying out the floor in a basketweave pattern in a neutral marble can still produce a visually stunning design as in this bathroom design. Or, do the layout in a herringbone pattern on a wall and it looks like the wall is literally vibrating with joy. There are many layouts to choose from, including traditional checkerboards and horizontal subway tilings, so explore as many as you can with different stone tile designs before you make a final decision. Make sure if the tile has a design pattern that you test what it looks like in a larger layout. 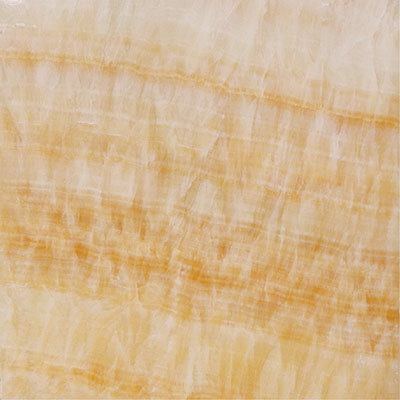 Non-porous stone, like onyx, work best for applications in the kitchen or bath. However, even softer stones like limestone or even marble, which is softer than granite, can be chosen as long as they are sealed and polished properly to maintain them throughout the use in the kitchen or bath. 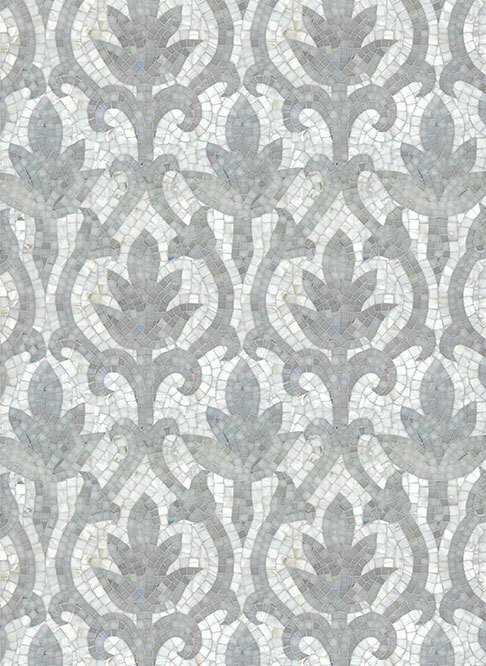 Each stone has its unique designs, and color variations, and some even have mixed media like mother-of-pearl insets to help amplify the light in the kitchen and bath designs, like this Munna tile. When you work with high-end custom tile artists, they usually have a lot of high-quality stone tile designs you can't get at a regular box store. They can even create unique waterjet cut tiles to help you create the design of your choice. Take a look at some of their previous designs in their portfolios. If you like the idea of a soothing ambiance with pops of design interest here and there, for a more eclectic look, consider design options like murals, accent tiles, or clever design styles that produce permanent "rugs." This stone design is echoed as an accent wall and "throw rug." These can be very subtle, but hugely delightful to the visitors and homeowner. 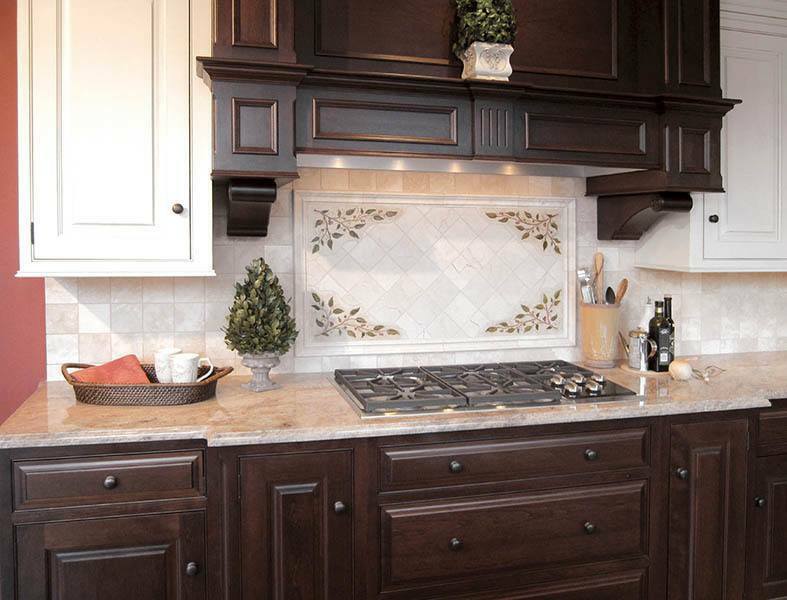 Take a look at this hand painted stone backsplash in the kitchen that is the perfect accent to the stove. Lay accent tiles against the background tile in real life to understand how they contrast and work with each other in the final design. While this design concept is not as glamorous as choosing a style, it is very important in the use and comfort of your space when it comes to designing a stone bathroom or kitchen. There is some functionality you can get with stone floors, for instance, that aren't available with other flooring choices. 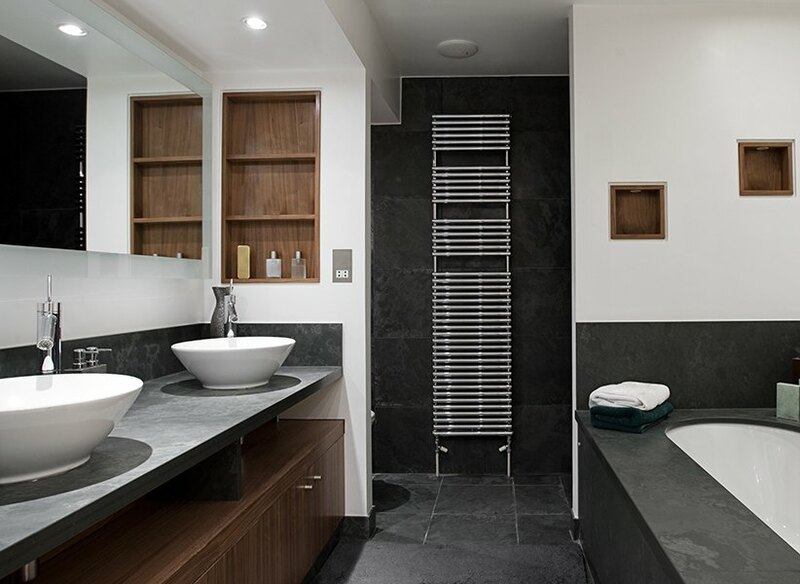 You can put in radiant heating beneath marble or slate stone tiles and this needs to be explored if you want a toasty floor in your bathroom. 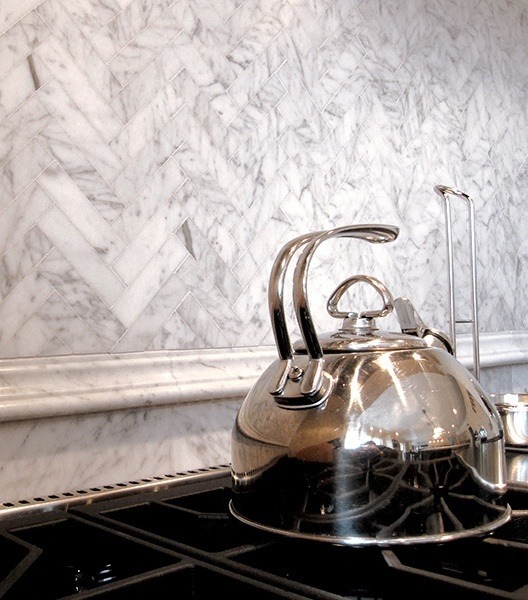 You may also want to have a marble countertop in one area of your kitchen simply because it is an excellent choice for making pastry, as the surface needs to be cool while rolling out dough. 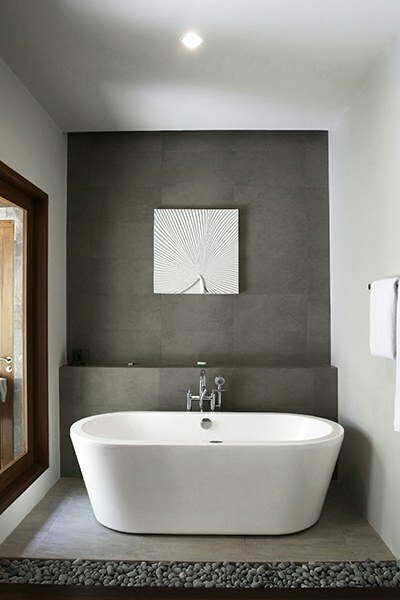 This limestone bathtub surround does double duty by providing a non-slip surface in an Asian-inspired designed. Read up on radiant heating and other design functionalities available with stone designs. If you are going to remodel in stone, work with a company that specializes in stone tiling to open up the best design choices to you. You won't be constrained by only what is available in a drab box store and you can even create custom pieces as accents or murals. Stone masons can also help you understand the stone design concepts I've detailed here and more. Do you want to know more about additional design possibilities in stone? Just comment below.